Boost you immunity this cold season with vitamins and herbs. If an External Pathogen invades, you do have to go through the whole cycle of the illness; the trick is to make it matter of hours, not weeks! So, what can you do to boost your immune system’s fighting power during flu season? Have you thought about stocking up your cupboard with some herbal preventatives, but are not sure how to take them or where to start? Being prepared in this way can help avoid costly sick days and doctor visits not to mention the often met end result of gut-disrupting antibiotics. When an External Pathogenic Invasion (EPI) occurs, your body must go through the whole coordinated process of fighting the pathogen off. The key is making this a quick fight by supporting your own immune system, as opposed to dragging it out for weeks and potentially causing nasty secondary infections as well. My favorite “go to” supplements and options during cold and flu season are: Elderberry, Oregano Oil, Vitamin C, as well as increasing my consumption of coconut oil, fresh berries and brightly colored vegetables. Keeping these items, or other of your own favorite immune system boosting herbs, in your medicine cabinet year round can mean less illness for the whole household! Elderberry has been shown to significantly reduce duration of cold and flu, and actually inhibits a virus’s ability to reproduce by blocking it from entering a cell, even the HIV virus (please see comments below for clarification). studies to be effective against Upper Respiratory Infections. It also has been used to fight cancer, and lower cholesterol. This is a win -win dietary supplement! It can have a very strong flavor, so I recommend capsules as opposed to oil, as well as keeping fresh oregano as a staple in cooking. Coconut Oil has been shown to be one of the most stable cooking oils for cooking with heat. That fact, is just the beginning, however. Coconut oil is antifungal, antibacterial, and antiviral both when used topically or eaten. Can you believe it also helps with weight loss and has even made cows lose weight -much to the dismay of the cattle farmers trying to stack pounds on their stock! Vitamin C is another immune boosting supplement shown to help significantly reduce duration and severity of cold and flu is Vitamin C. I have a sensitivity to Vitamin C, so do not supplement, but most people can use a daily dose of 500-2,000 mg/day. When ill, that dose can be increased to about 1,000 mg of Vitamin C per hour, to bowel tolerance (that is what it sounds like), until cold symptoms subside, to help one pass through the stages of a cold or flu more quickly and with less suffering. When should you take these immune hosting herbs? Think about these herbs as your secret weapons. But to use them wisely you have to pay attention to YOURSELF. What are your red flags that you are about to get sick? A sore ear? Dry or painful throat? That achey sensation at the back of your neck or the painful sensitivity to light touch on your skin? When those things happen or you know you are run down, REST! Take it easy! And take your herbs. If taking things down a notch is not an option, I get it, sometimes life is demanding. So, take your herbs. Take them daily or twice a day if you are stressed, exposed to a lot of sick people, not eating well or traveling. The very most important time to take them is at the very first sign of a cold. When you feel those sensations that are your red flags for a cold, know that your body is dealing with a pathogen and needs your help in supporting your immune system to fight it! How long do I take these herbs? 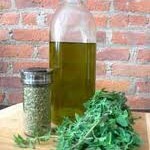 Okay, now that you have had the stuff in your cabinet ready to go and a cold has finally hit you, you have started pumping the herbs in with the maximum dosages as directed, but how long do you need to keep this up? Well, as we mentioned with Vitamin C, you will reach bowel tolerance at some point and then you know you can back off the Vitamin C dosage frequency slightly, but not altogether. For all of the herbal immune boosters you need to continue to take them for a full 24 hours after your symptoms subside. 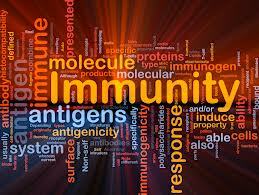 This helps make sure that the pathogens are clear and your immune system is fully supported. I’m not finding your reference that Elderberry has been shown to block the entrance of HIV into the cell. That’s kind of a big deal.